Today’s Guest Post has some cute ideas for decorating your dining table this festive season. I know it’s early but some do like to plan in advance. I try to! It might be a tiny bit early yet, but Christmas is one of the most exciting times of the year and it’s hard not to get excited, despite the looming stressful months of preparation. Getting in the Christmas spirit starts when the tree goes up and the fairy lights come out, but your festive décor doesn’t have to be limited to the living room. Hallways, bedrooms and even bathrooms can be spruced up with a little festive cheer, but the best place to decorate is the kitchen. One of the most effective ways to make your kitchen and dining area feel Christmassy is to decorate the focal point of the room: the dining table. So, here are a few ideas, tips and tricks to get you started. The appropriate colour scheme will depend on the kind of table you have. Glass top tables with metal frames will lend themselves well to cooler tones like silver, whilst rustic wooden dining tables like the ones from Top Furniture will look amazing with a gold and red colour scheme. Obviously you’ll need to take into account the existing colour scheme in your kitchen too, but really, it’s all about intuition and you’ll just know when it ‘works’. This is one idea that just has to be shared. 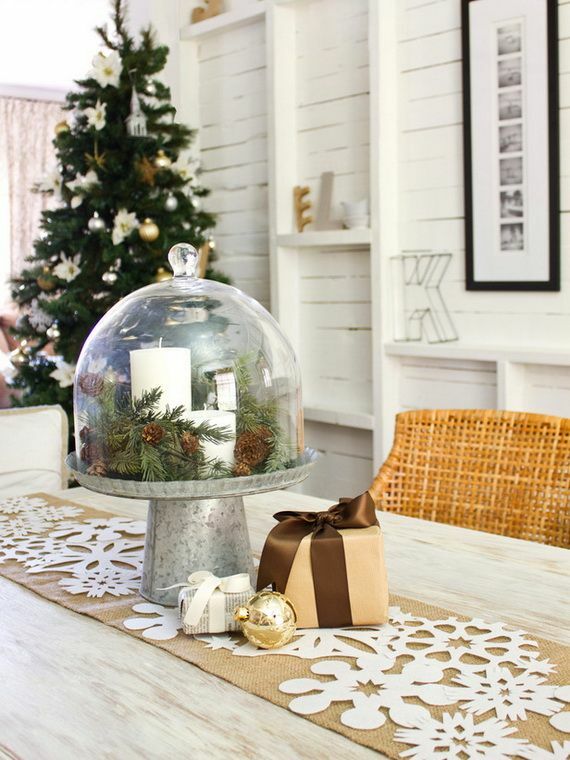 We’ve all seen the cake stands with a Perspex or glass dome cover, so how about getting your hands on one and turning it into a snow globe centrepiece for your dining table this Christmas? Put Christmassy figures inside – like reindeer and a mini Santa – and add faux snow and some silver glitter to create a wintery scene. No doubt the children will love the novelty of this idea and will be more than willing to get stuck in and help out. 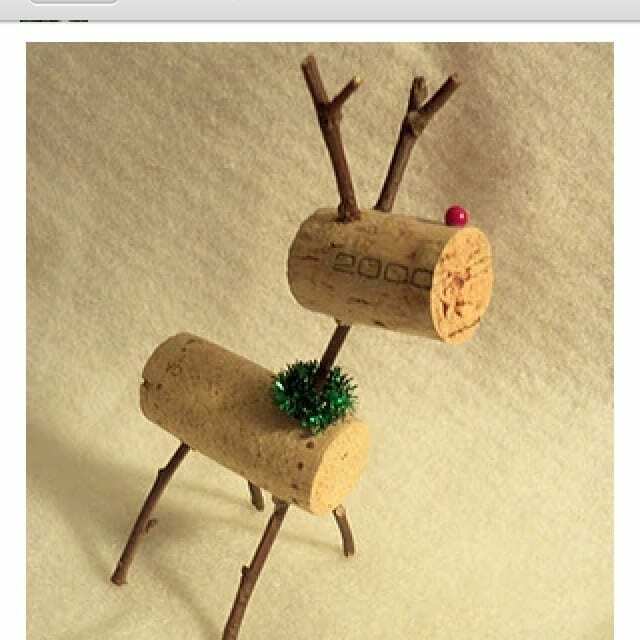 Don’t save your table favours for Christmas day; enjoy them during the run up to Christmas by making some little reindeers from wine corks. Simply stick in brown pipe-cleaners or even twigs for legs and antlers before adding little red noses using beads from a craft store. If you want to do something different for the favours Christmas day, the reindeers will simply be a nice extra that will have added a bit of fun to your dining room décor during the build up to Christmas. They’d even make great stocking fillers for family and friends, as each year when they get them out with the Christmas decorations they’ll be reminded of you. Early? It’s never too early!